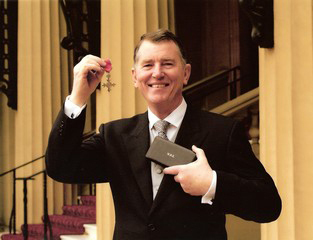 Gordon McQuilton with his MBE awarded for services in special seating for disabled children and adults. Congratulations. We would like to offer our congratulations for his outstanding contributions to Special seating design, manufacture and services.